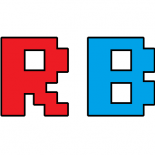 ReviewBros, or Review Brothers, is a review website focusing on the gaming and gaming technology industries. The content on this website is aimed at informing readers of new innovations, clarification and comparisons of new releases, as well as informative descriptive analysis of products/games that our readers are interested in. ReviewBros is run by Ian and Justin Cutress, who combined have over 10 years working in the gaming and gaming technology industries.